Our consultant Sam Blanco recently had the opportunity to talk with Alex Jackman about her video, A Teen’s Guide to Autism. 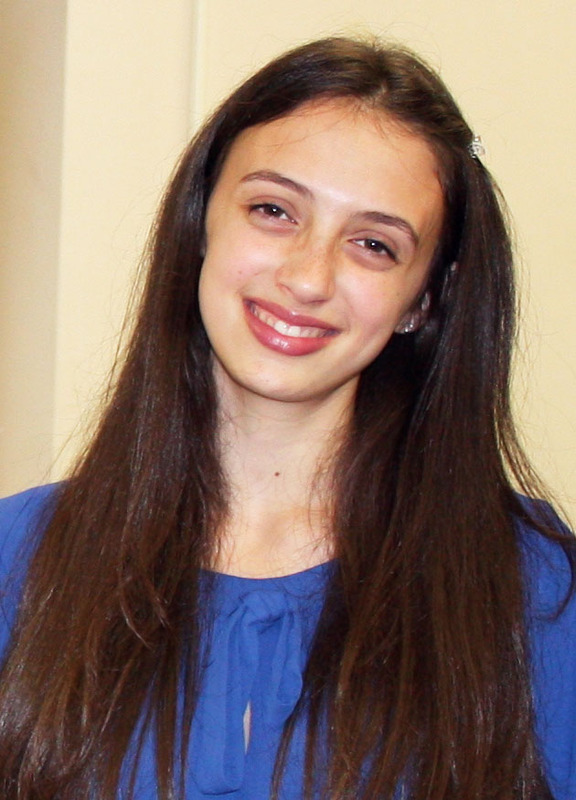 Alex created this film when she was in eighth grade to educate high school students about autism. You can view the 15-minute film here. For those of you in Florida, the film is going to be showing this weekend at the Palm Beach International Film Festival in the short documentary category. There will be a Q&A afterwards. For more information, click here. Here is Sam’s interview with Alex about her experience making the film, as well as her thoughts on teaching kids about people with special needs. Q: What inspired you to make the film? What inspired me mainly was how people in my school, how little they knew about autism. I realized that a lot of people, because they don’t know what makes people with special needs different, they don’t take the chance to get to know them. I’ve met really incredible people with special needs and I thought it was so unfortunate for both the people with special needs and everyone else who wasn’t getting to know them because they are missing out on this opportunity. I looked up stuff, but I hadn’t seen anything that was geared towards teens about it. Q: What kind of sources did you use to find the statistics and information you presented? That was definitely difficult because there are different statistics for the same [information], like for how many people have autism. There were conflicting sources, and with new research, it’s changing. (All information from the film clearly states “as of 2012.”) I used very respectable, well-known, large organizations that I, or groups, like medical groups, that have really researched to get statistics. Q: If you could narrow it down to one thing, what did you learn from making this film? That’s so hard. I think I’ll have to say two. For kids, I think that teens especially, are so willing to learn and are willing to take in this information they just haven’t been given the opportunity to. And then, the other thing was just that adults and people are so much more supportive than I thought and it’s not an uphill battle for everything. People really want to help. Q: Bullying in schools is a big concern for parents and educators. Do you think providing information about what special needs could have an impact on bullying? Yes. Because – well, I do think there are resources, but it’s not taught in schools and it’s not really thrown in their faces, which I kind of tried to do – get teens to watch. Where it’s not something they have to search for, t’s right in front of them… I think that a large part of bullying is misconception and ignorance. I don’t understand the bullying, of course, but I understand why people would be a little bit confused and would look at someone a little bit differently, if they don’t know why they’re doing something differently from them. If they have never learned, then I can’t blame anyone for being confused and not knowing how to respond. Q: In the process of making the video, what was one of the more common misconceptions you found high school students had about autism. Well, one thing I was so surprised by was how many people just didn’t know what it was. I was really surprised when I thought about it, we never really learned about it in school…You know it’s a big part of my life now, and so I kind of assume that more people know about it, but there were just so many people who didn’t know. Q: In the process of making the video, you talk with high school students who have autism. What type of questions did you ask them to be a part of the video? I said, “What’s something cool about you”, “What’s something interesting about you”, “What do you want to be when you grow up”, “Do you have a favorite song.” Kind of based on their responses, I just kind of started with one question and then I didn’t have anything planned. I just kind of went off of their answers, and whatever they wanted to talk about, that’s what they talked about. This was the part I really loved. It was so much fun. Q: For me it was very refreshing to see people interviewed who really had autism or Asperger’s and were representing themselves. Do you have any thoughts about depictions of autism in popular culture? I think there are some good and some bad because, as the quote goes “If you know one person with autism, then you know one person with autism.” I think that’s hard especially if you don’ t know anything else about it and you don’t have any interactions or knowledge on autism and special needs. It can be a bit misleading when the media portrays someone who is specifically high-functioning. Then everyone thinks that’s what all people with autism are like or vice versa, if someone’s low-functioning or somewhere in the middle. Q: How has your video been used? I’m really excited because it’s been – even though I directed it towards teens – it’s really been shown to people of all ages. People have used it for anti-bullying, people have used it for training, people have used it for class and it’s just been used in so many different ways than I expected. It kind of took on little legs of its own. Q: When you first started this, what would you have described as your goal with it? To make a relatable guide for teens letting them know what autism is in a positive way – something that was relatable for teens, and that kind of was very interactive and engaging. I was just thinking locally. If I could get it shown in like Roosevelt, which was my middle school at the time, if it could’ve been shown in some classes there, that would’ve been kind of what I was hoping. Q: It sounds still very it sounds like your video is still doing that, but it’s done more. Has the goal changed? I just want as many people as possible to watch it in hopes that they’ll learn from it. Q: How do you think this video might be beneficial for parents? I just speak from what parents have told me. One parent of a child with autism has told me that their child watched it and said “Yeah, I do that, that’s why I do that.” And another mom said that the video helped her child understand himself, because he was just kind of coming to terms with his special need and learning a little more about it. It kind of showed him, helped him to know why he does that and that’s it okay and there’s a reason for it and he’s not just, he shouldn’t feel isolated because of that. Q: Do you have ideas for further exploring the subject of Autism Awareness in the future? I’m looking at ways to kind of direct better resources on available information and events because… there are so many amazing events and there are so many people who want to go to these amazing events, but they just don’t know about it. And I’m also doing something at my school probably starting next year, but I’m kind of getting it organized this year that would be like a peer system – some sort of club after school where kids who are in school who are neurotypical and kids who have special needs get together. Q: Can you just tell us about the film festival? It’s showing April 6th. Q: Do you think you’ll work with people with special needs as an adult? When someone asks me what I want to be, I, you know, if I’m not working and interacting with people with special needs as my job, I’m 100% doing it on the side. It’s definitely going to be a part of my life. Written by: Different Roads to Learning on April 4, 2014.on April 3, 2014. This entry was posted in autism, Autism Awareness, In the News, Media, Q&A and tagged A Teen's Guide to Autism, Autism Awareness, films about autism by Different Roads to Learning. Bookmark the permalink.